Bon appetit! 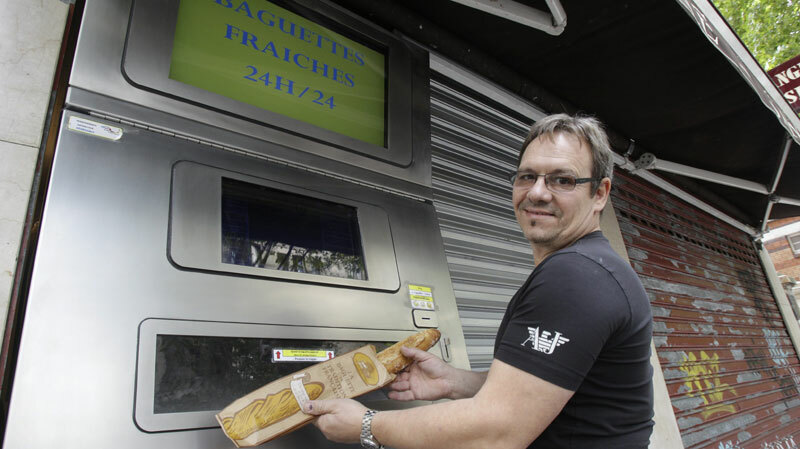 France gets freshly baked baguette vending machines! It seems that the traditional French boulangerie has had a 21st century makeover if this contraption is anything to go by. Jean-Louise Hecht, owner of numerous bakeries around Paris and Hombourg-Haut, decided that embracing the cultural shift in France was a far better idea than clinging to tradition with his fingertips. So he developed a vending machine that turns precooked bread into fresh baguettes. His dispenser sold 1,600 baguettes in its opening month in January. This jumped to over 4,500 in July, which is a staggering 150 automated baguette transactions a day.